It is this organ’s very pleasant duty to report upon the activities of another Mr Johnson (above). This is of former Flight Sergeant George Leonard (Johnny) Johnson DFM, MBE, RAF Rt. 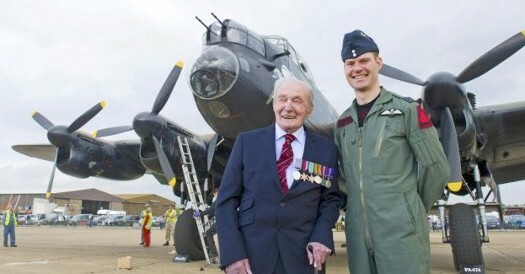 : Dambuster – the last serving Dambuster. Mr Johnson has at long last received his well deserved MBE from Her Majesty the Queen. Mr Johnson would of course say that the MBE is not just his but his former comrades in arms. Am sure all British Gazette readers will wish all the best to Mr Johnson and would congratulate all those courageous members of RAF Bomber Command for their duty discharged during some of this country’s darkest days.